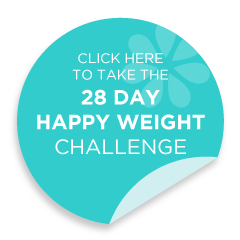 Is Poor Quality Sleep Preventing You From Achieving a Happy Weight? So you think you’re doing everything to reach your ideal weight. You're making the right food choices, counting the calories, and getting regular exercise, yet you still feel you’re not in the best shape or state of health. Well, you may be missing out on something very important – SLEEP. In this article, I’ll show you how sleep can impact your efforts at achieving or maintaining a happy and healthy weight. Sleep is an important modulator of neuroendocrine function and glucose metabolism. What does this mean? It means that without sufficient restorative sleep, our brain function and endocrine (hormonal) system are affected. More specifically we know that our insulin sensitivity, cortisol levels and satiety hormones are impacted, leading to an increased risk of obesity. Various studies have shown that people who get less than seven hours of sleep a day are more likely to be overweight, have poor glucose tolerance and suffer thyroid issues. 1. An increase in stress and anxiety. In fact, elevated cortisol levels have been detected in the evening when they are supposed to be declining and preparing us for sleep. Chronically high cortisol has been linked to abdominal adiposity (weight around the midline) and muscle breakdown. Remember our muscles play a key role in the protection of bones, metabolism and a strong physique. This also drives up cortisol levels, impairs mineral absorption and dehydrates the body. 3. More temptation to overeat. When we are tired, we often reach for calorie-dense, nutrient-poor foods to act as a booster. 4. Increased levels of inflammation. For women already suffering aches and pains, this can further impede exercise efforts. Inflammation also forces your body to work harder to maintain a stable pH. An impaired insulin response raises blood sugar, increases the risk of type 2 diabetes and promotes weight gain. 6. Impaired release of the appetite hormones – ghrelin and leptin. Sleep deprivation has been shown to alter ghrelin and leptin release, causing increased appetite and a decreased level of satiety. How you feel during the day determines the quantity, quality and timing of your sleep. Follow our FREE 8-week program to ensure you have the right nutrition to sustain your day-to-day activities and improve overall health and wellness. Also, check out another article we have for some valuable tips on how to get excellent sleep each night.